I meant to go out at lunchtime today to search for a dog but I didn’t get chance. 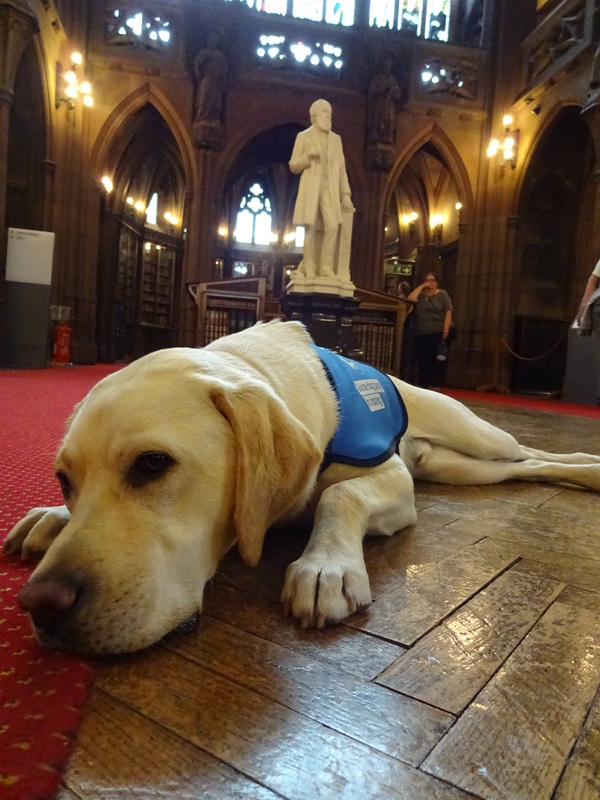 I planned to pop to the park on the way home from work but then I spotted a trainee Guide Dog in the Historic Reading Room in work, I was very happy! Percy is a lovely friendly boy, he’s very chilled out and I got to give him a stroke! 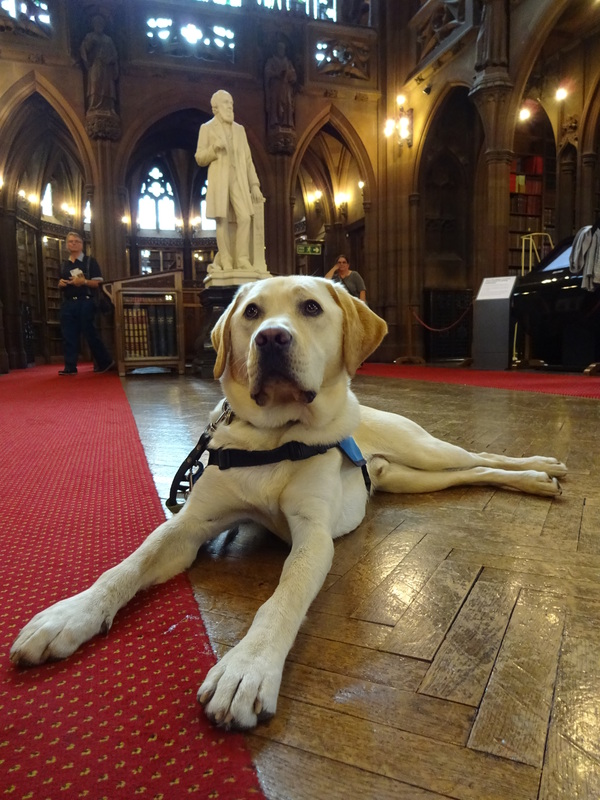 Percy starts his Guide Dog training next month, I bet he’ll be great. Percy has lived with his foster human since he was 7 weeks old. They’re going to miss him loads but they’re really glad that he’s going to do an amazing job and will make a real difference to some ones life. They would definitely do it again! 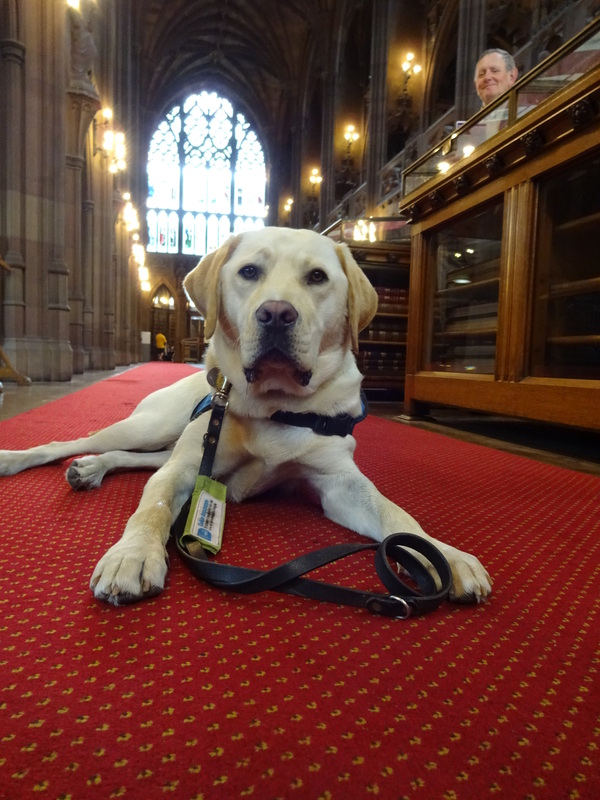 Percy has 10 brothers and sisters and the are all training to be Guide Dogs. I couldn’t decide which photo I liked the best so I’ve added a few! Favourite pastime: Playing tug! Percy also enjoys going on the train to Manchester (Percy lives in Buxton).